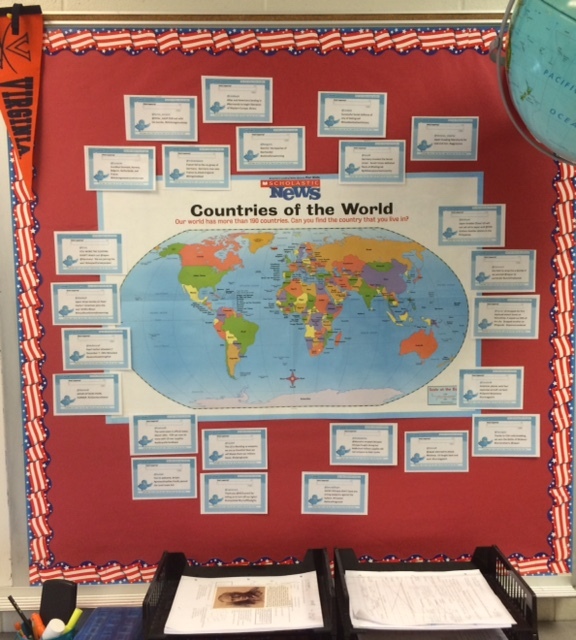 I teach seventh-grade U.S. history, and World War II is one unit students look forward to all year. Because of snow days, I had to revise the unit, including cutting a project on FDR’s “Four Freedoms” speech and shortening a couple classwork activities. 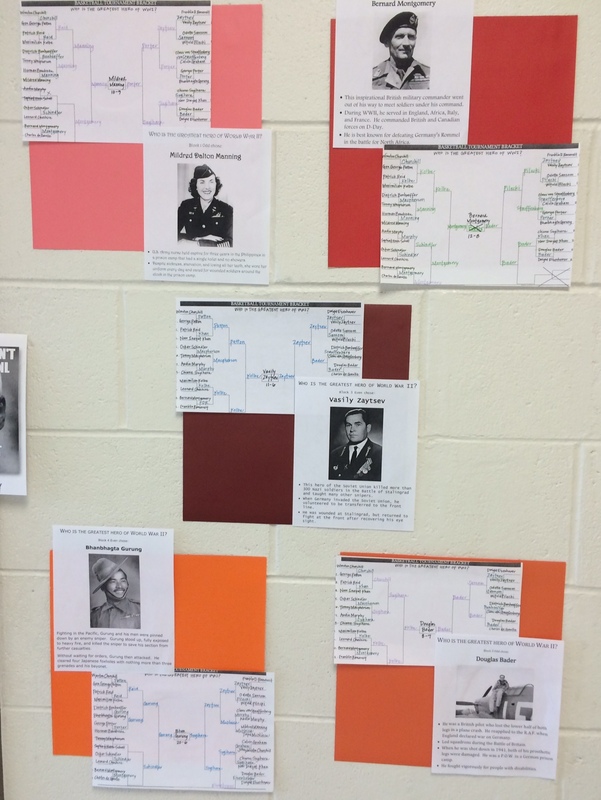 On one snow day, I brainstormed ideas on how to get my kids to interact with battles chronologically, while also understanding the meat of those events. Imagine you are a journalist reporting during the 1930s and 1940s. Unlike those old-school reporters, you have access to Twitter. 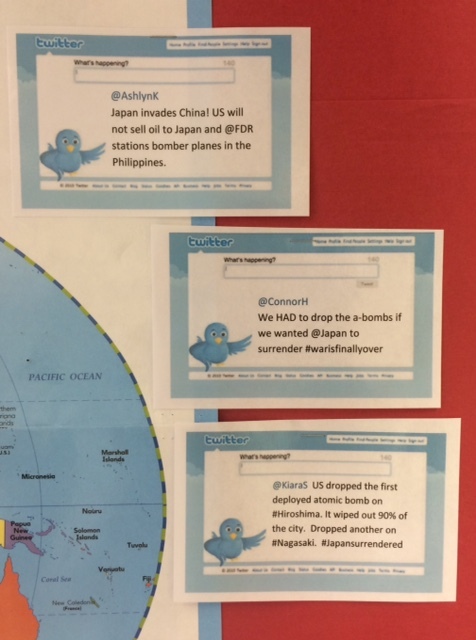 Report live from the battlefields in 140 characters or less to keep Americans informed on this war! Choose any 8 of the following events to cover. 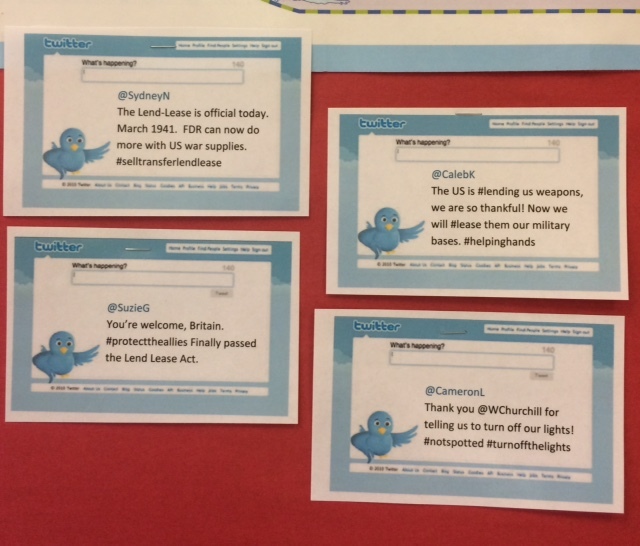 Students could use World War II and Winston Churchill primary readers from Teacher Created Materials, our textbook, and the Internet to find information for their tweets. I picked the top 4-5 out of each class and put them on little cards to decorate the bulletin board.